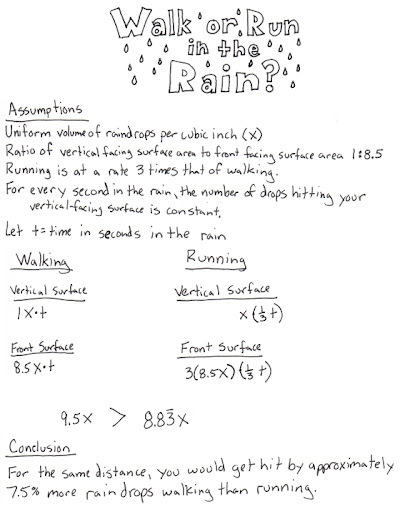 For a couple years I have wondered about whether you get wetter by walking or running in the rain. I know the Mythbusters have attacked this question, but don't remember their conclusion. I decided to try to tackle the problem mathematically, and while I made some assumptions, I think my conclusion makes sense.